Home Technology How Do You Make Exercise More Bearable? How Do You Make Exercise More Bearable? For many of us, the new year brings those traditional resolutions we make and try hard to stick with. Studies show it takes 66 days of continuous implementation of a plan for it to become effective. Sadly, the average length of time someone puts into a new routine is 24.5 days. With those statistics, it is easy to see how many of us fail at those resolutions we make for ourselves. One of the toughest resolutions to stick to is exercising. To me, exercise is repetitive and boring. Who wants to do something they do not enjoy especially if it makes you all sweaty! What we need is a way to lighten up the boring routine! Here are a few tips to do just that. Buddy Up: Exercising is always more fun if you have a friend to workout with. If you cannot find a workout buddy, join a group activity like a Zuma class or a running group. This way you can either cheer each other on and have someone to chat to/laugh with. Clothing Matters: Brighten up your exercise routine with some colorful workout apparel. Add some pops of neon, which is hot right now. Wear a bright pink top with black shorts or buy yourself a pair of bright neon yellow running shoes! They say the brighter the color the peppier the step! Tunes: Nothing makes a workout more fun than an upbeat playlist! I am one of those people that can just zone out and listen to the beats. I will even forget that I am walking for exercise cause I am dance-walking to the base beats. I have been known to get so engrossed in my music, I have ended up 5 miles from home when I only intended to walk 3! With the Jabra ROX™ Wireless Earbuds, you can hear and control your music without wires or cords to tie you down. 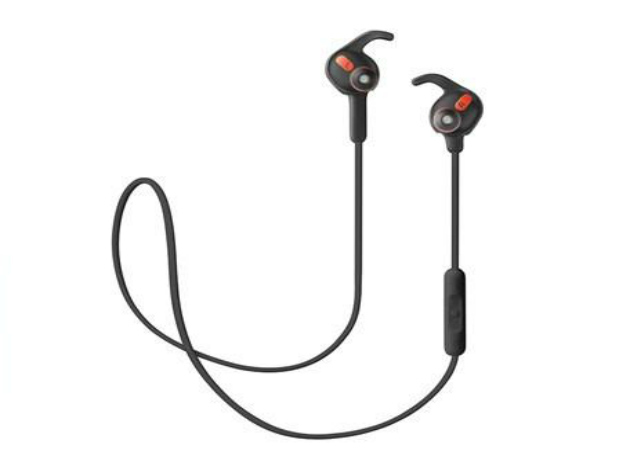 The Jabra ROX™ Wireless Earbuds, which sells for $130, are available on the Jabra website, Amazon, Apple and other audio retailers nationwide. These earbuds allow you to give up the wires but not the great sound you deserve. You can easily control your playlists or telephone calls with the in-line controls. The high definition Dolby sound brings your music to a level like you have never heard before. Seriously! I was amazed at how it I could feel the bass in my head! The Jabra ROX™ were designed with the small, in ear monitors professional musicians use. They are small, lightweight, travel well and the solid steel construction keeps them clean and well protected. I recently used them on a trip to Seattle from Florida. The trip was 5.5 hours and the battery lasted right up to the end. The plane noise was significantly reduced and I swear the pressure was not as bad when we took off and landed! Might have been my head, but hey I’ll take it. When you are not using the Jabra ROX™, you just clip together the innovative magnets around your neck and they activate their power saving mode. The wireless Bluetooth function syncs easily with voice activation and makes these wireless ear buds a smart choice for the active listener. You can also find wireless speakers, headsets, car speakerphones and more. Be sure to follow Jabra on Twitter and YouTube. 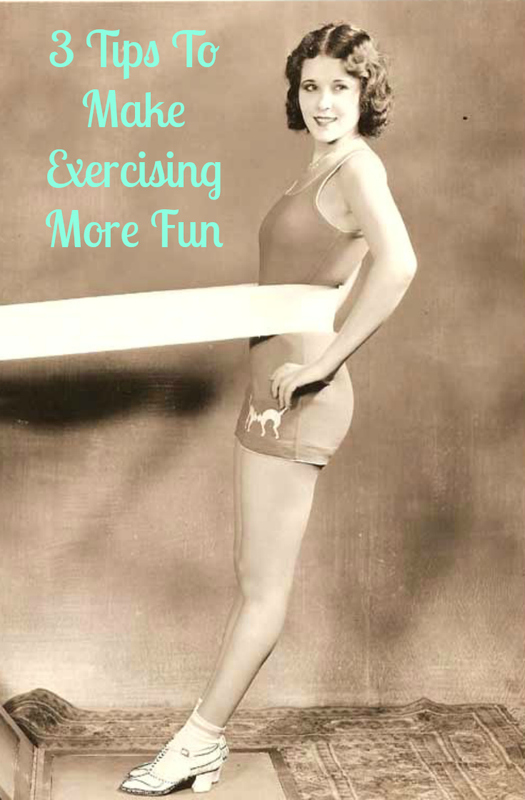 How do you make your exercise plan fun?